For more than 115 years, the Lord has used Zion Hill Baptist Church to reach out to this community and the world with the good news of the Gospel of Jesus Christ! 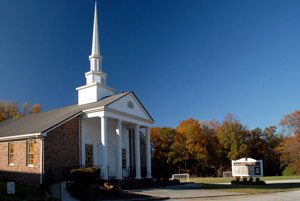 We have a rich history and tradition of worship and service to our Lord and Savior, Jesus, here in Flowery Branch and Oakwood, GA. It is our desire to remember our past and honor those who blazed the trail for us today. It is also our desire to seek God’s will and His desire for our future. This is not so delicate a balance as you might think. 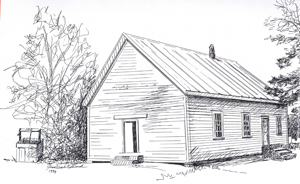 In 1895, the founding members of this church wanted to establish a church in their community that would be near their homes, farms, and businesses. 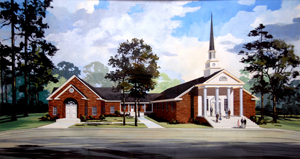 The newly founded church joined with othe r like-minded Baptist churches in the vicinity in the Chattahoochee Baptist Association. 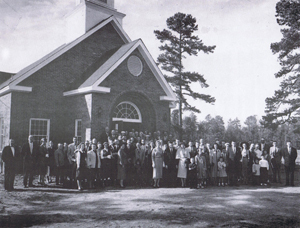 Our church was originally founded as Clear Branch Baptist Church. In November 1897, the church purchased the plot of land where the church buildings now stand. 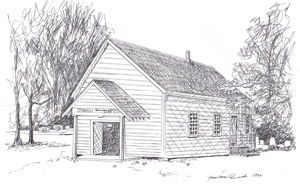 They constructed a small, wooden building and held their first church service in February 1898. That same year, the name was changed to Zion’s Hill Baptist Church. Over time, by common usage, the name changed to its present day form of Zion Hill Baptist Church. ZHBC started a Sunday School in 1901. Sunday service became a regular, weekly event. 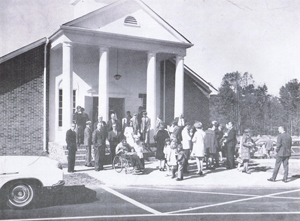 In 1954, the church expanded to accommodate membership growth and added Sunday School rooms and a basement. In 1957, the old church was bricked over, a steeple, and baptistry pool were added to the building. A general remodeling of the interior was also completed at this time. In 1967, the present church building was built and the old church was remodeled into an educational building with classrooms. In 1970, the driveway and parking area were paved with asphalt. In 2000, ZHBC acquired additional acreage adjoining our church property. God’s hand was definitely involved in the purchase, from start to finish. Since the founding of this church, God has worked miracles in the lives of our people. He has brought many to the foot of the cross to meet His Son, Jesus. We offer Him praise for the many salvations that our church has had the honor of witnessing. God has also called many people into His service at Zion Hill. We have sent out myriads of missionaries to the mission field, we have licensed many men into the Gospel ministry, and we have ordained many deacons. Also, since 1895, our church has had the privilege to ordain three men into the Gospel ministry. The first man was J.M. Sheffield. He was ordained at the request of Poplar Springs Baptist Church on November 11, 1899. Rev. Sheffield served as pastor of ZHBC for nineteen years. The second man is H. Scott Wilson, our Senior Pastor. He was ordained at the request of Long Branch Baptist Church on February 22, 1995. The third man is Gregory N. Schermerhorn. He was ordained at the request of Chattahoochee Baptist Church on March 20, 2011. Zion Hill Baptist Church has been set apart and dedicated for the sole purpose of worshipping and serving God Almighty from its beginning. This is the purpose to which we are still single-mindedly focused. We serve a living Savior. We see His work in our world and in our lives every day. It is our desire to live out the Great Commission and the Great Command Jesus gave us in Matt. 28:19-20 in our daily lives. 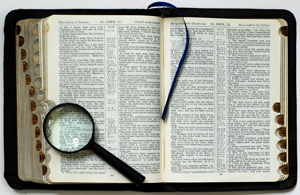 We strive to be the Bible that others read in our daily walk. Today, we are actively reaching out to our community though various missions like the Hand Up Food Ministry, PMO and Preschool, Love In Action, Prayer Ministry, Hand Bell Ministry, Interpretive Dance Ministry, Prayer Shawl Ministry, and Witness Fitness. We believe that Jesus intended for us to impact our families, friends, neighborhoods, communities, regions, state, nation, and the world for Him. We believe that is what is represented by Acts 1:8. If you love the Lord, believe the Bible is the inerrant Word of God, desire to see people come to a saving knowledge of Jesus Christ, and desire to grow in your Christian walk, then we have a lot in common! 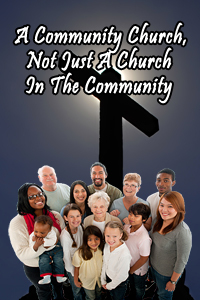 Zion Hill truly is a Community Church, not just another church in the community. Come join us for authentic, Holy Spirit led worship.